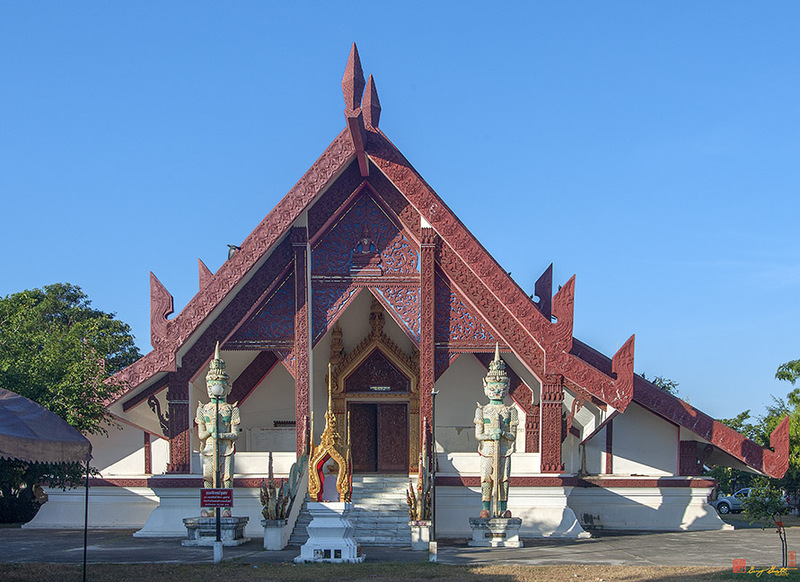 Wat Si Pradu, วัดศรีประดู่, also called Wat Si Pradu Song Tham, วัดศรีประดู่ทรงธรรม, has the Ubosot constructed with a very unusual and unique architecture. 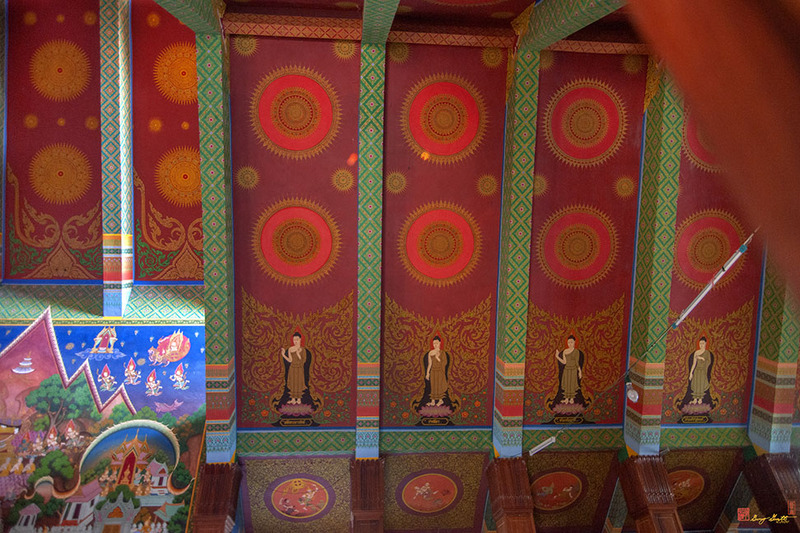 The whole building is quite long and gradually slopes upward from the entrance to the main chamber housing the Principal Buddha image. 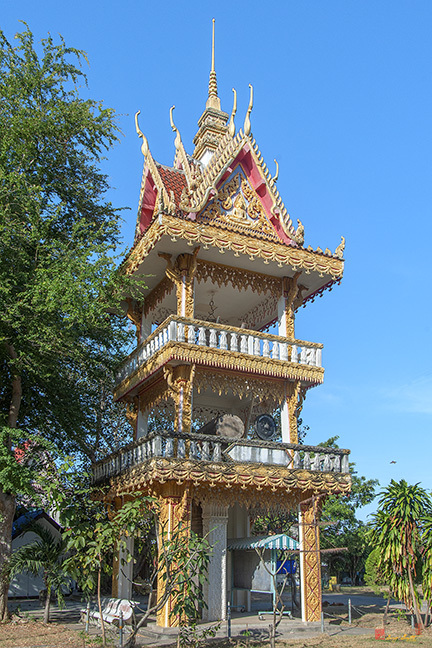 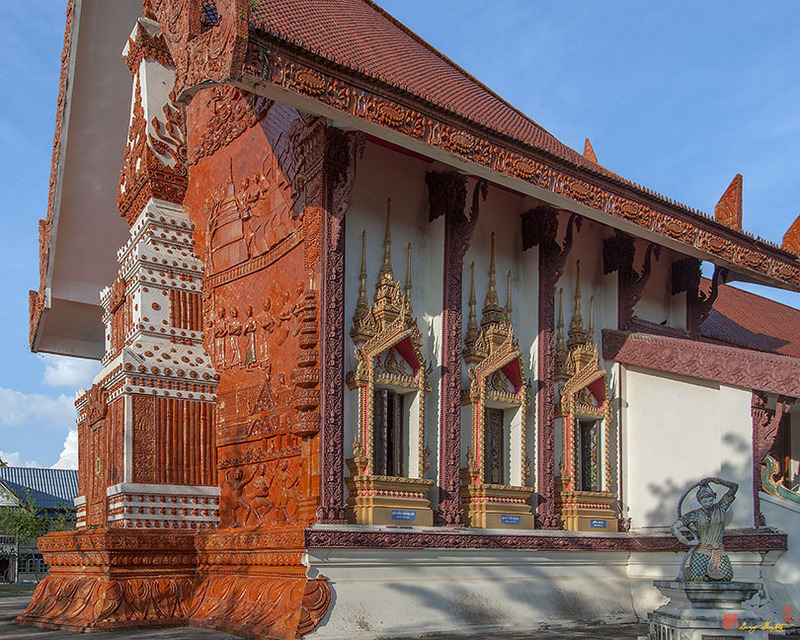 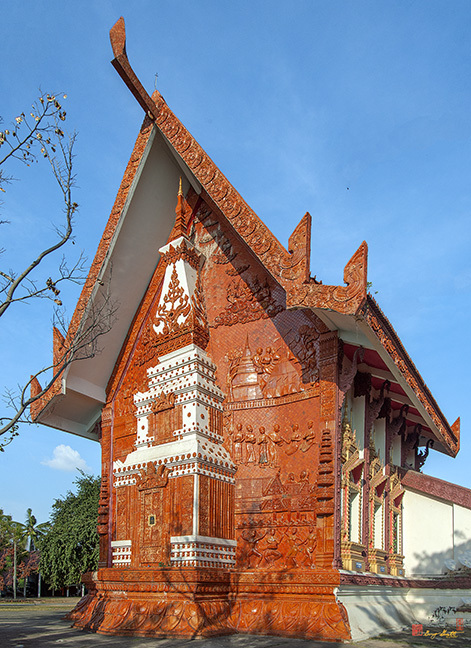 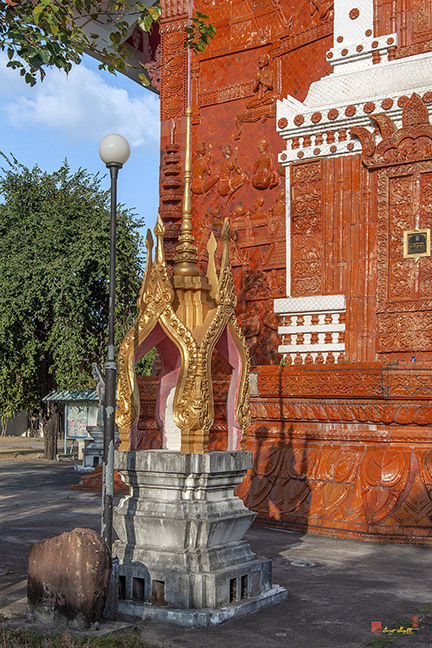 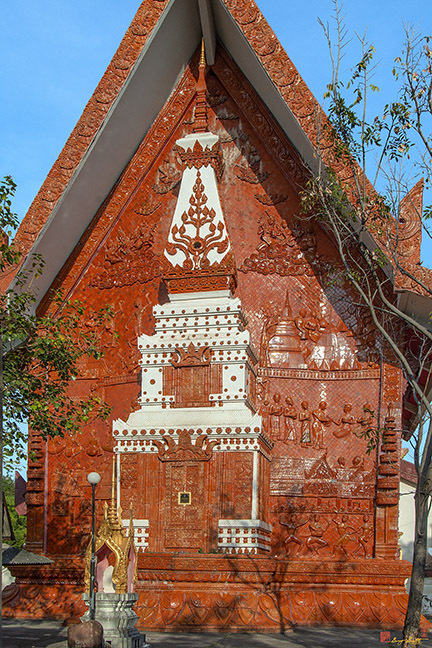 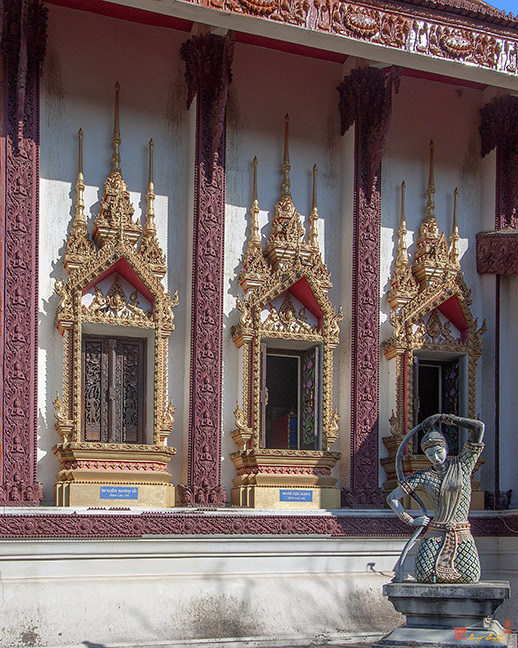 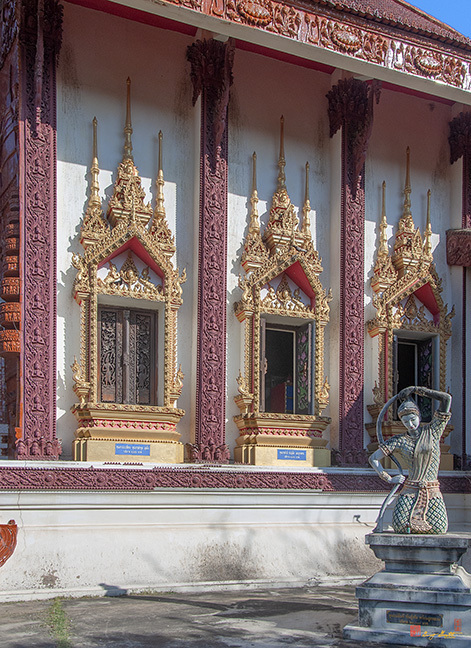 The decoration uses a rich brown lacquer for the most part covering the parts of the outside normally covered with gold tile on other temples. 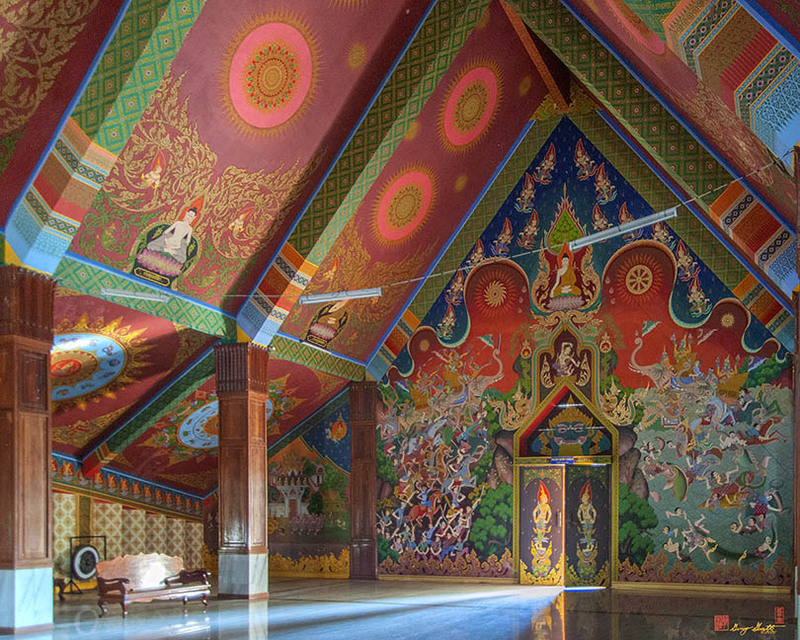 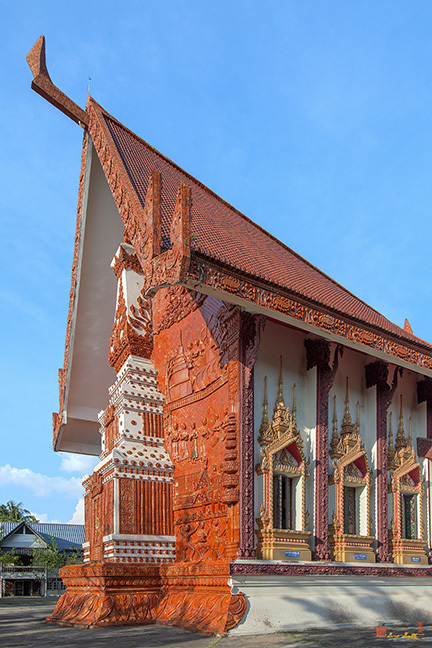 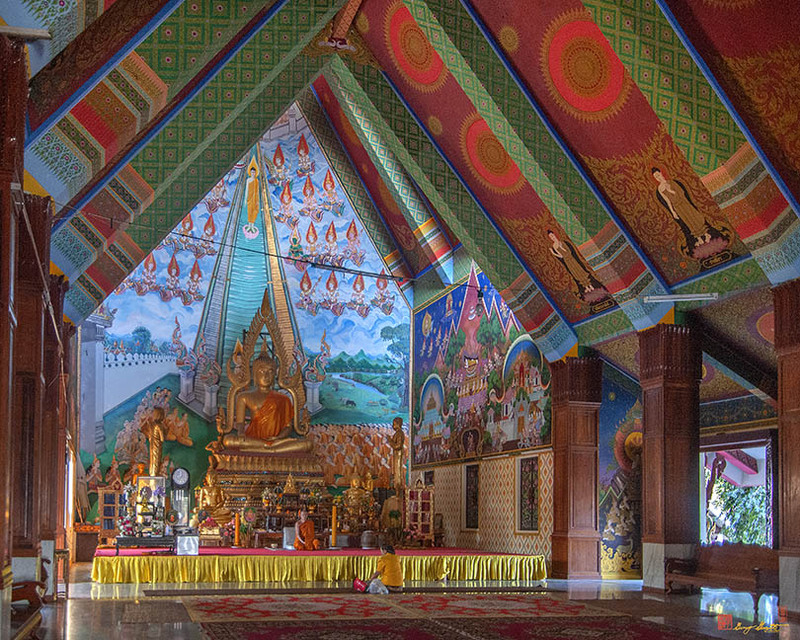 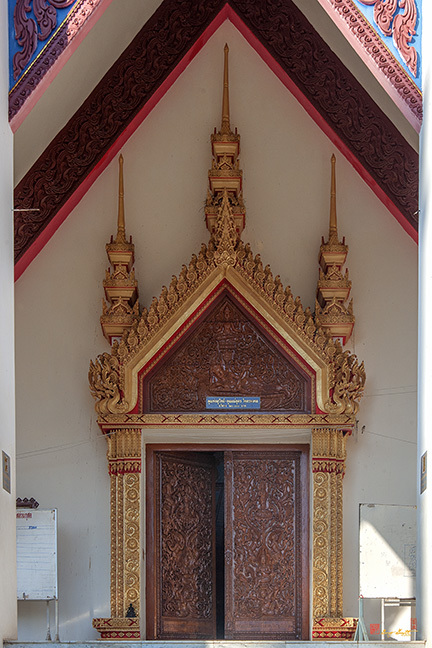 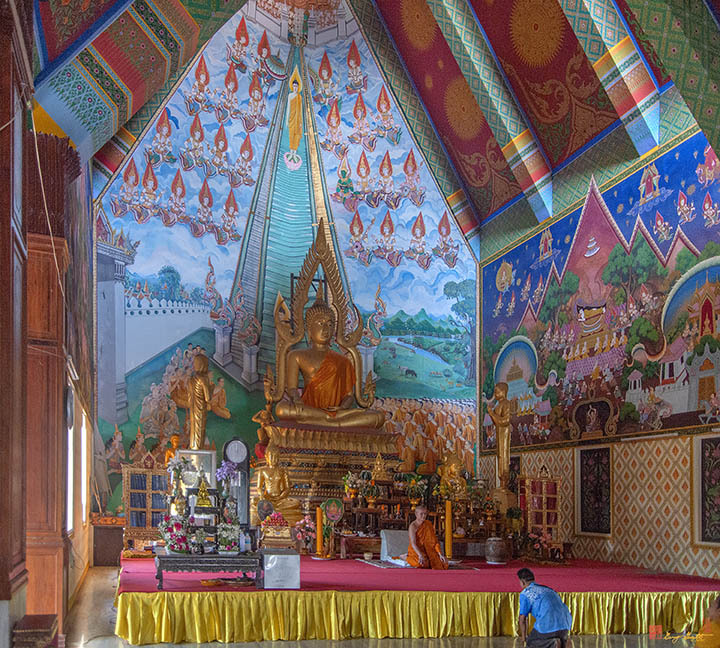 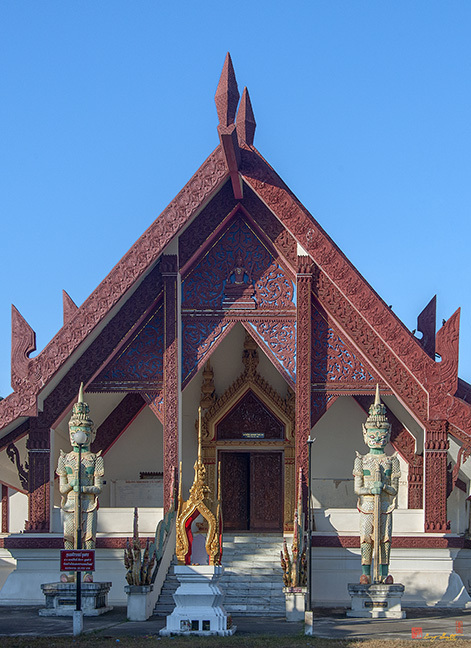 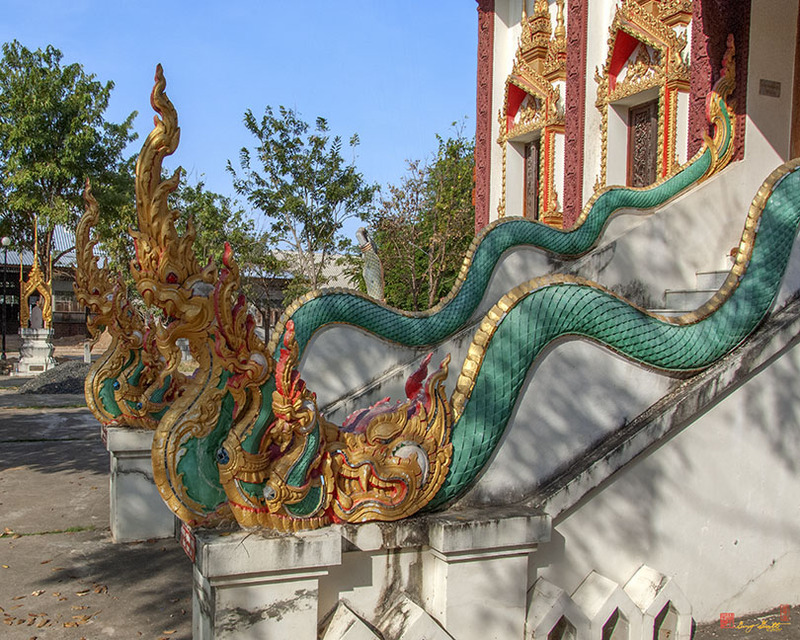 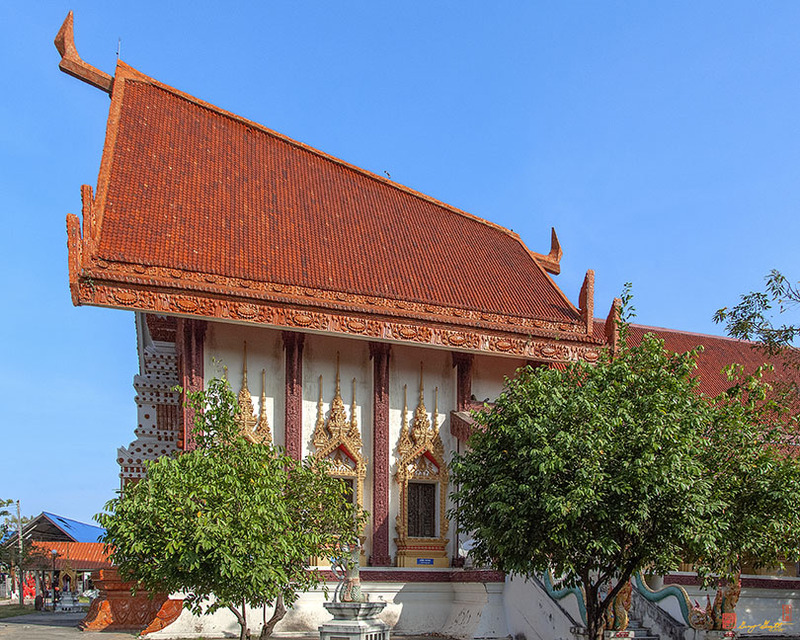 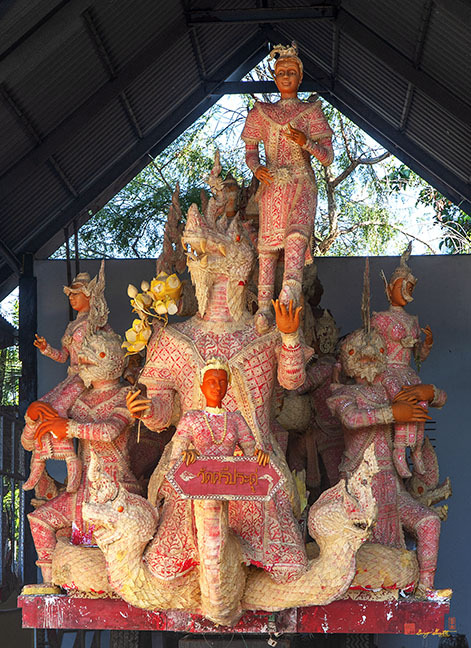 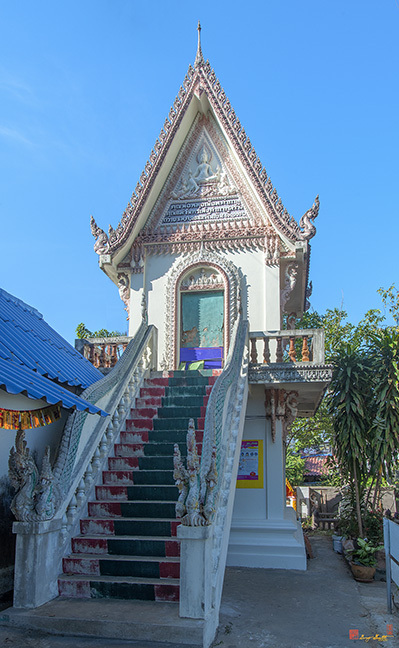 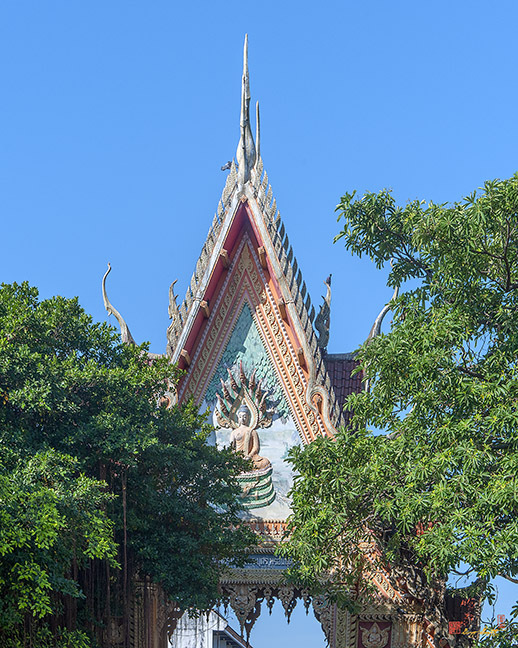 The beams at the roof peak are very stylized versions of the typical Thai temple Naga roof finials. 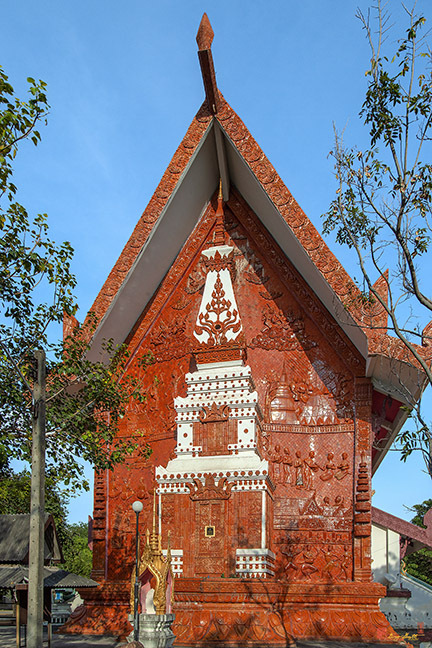 Indeed, about the only things that are "typical" with this Ubosot are the Boundary Stone shrines.